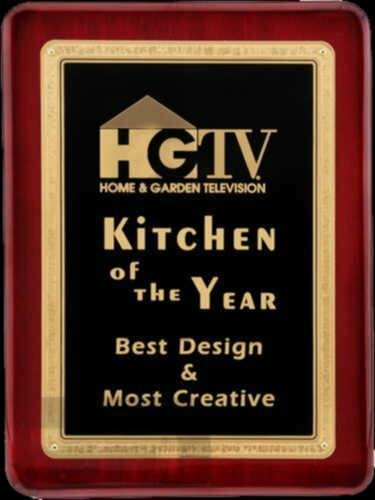 This plaque is a great gift idea for the home or office. 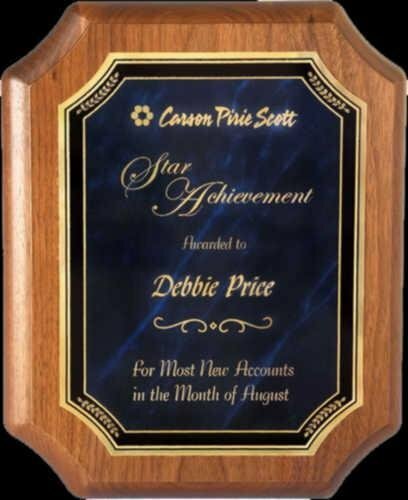 With an abundant space for engraving you have plenty of room to add your message of appreciation. Availible in 3 sizes! 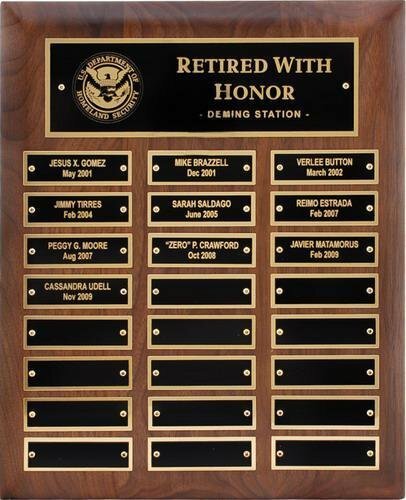 This perpetual style plaque comes with 12 name plates attached as well as a larger header plate. 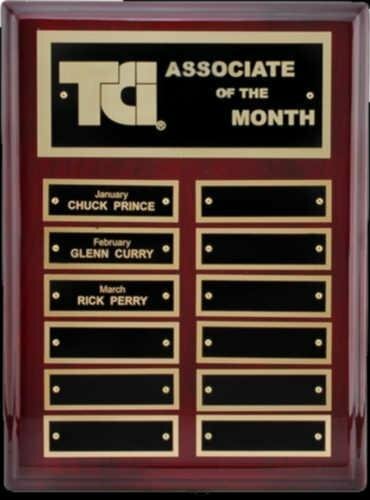 This is a perfect way to show off you top employees. 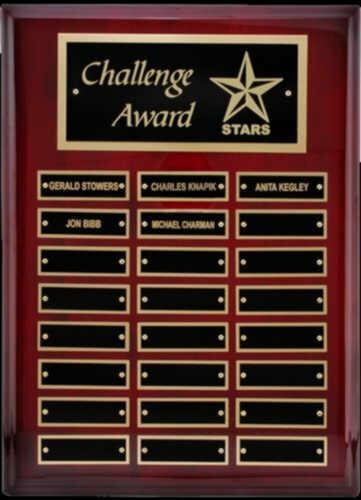 This perpetual style plaque comes with 24 name plates attached as well as a larger header plate. 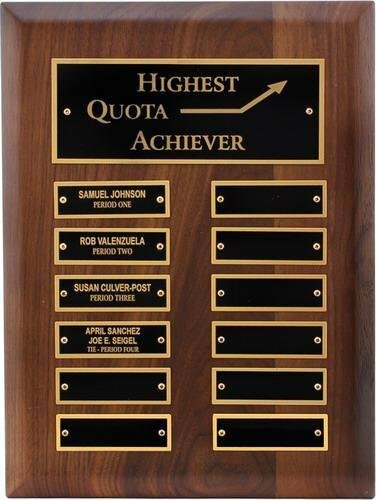 This is a perfect way to show off you top employees. 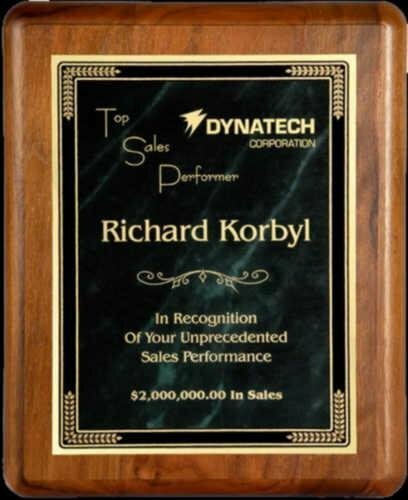 This perpetual style plaque comes with 12,40,48,72 or 84 name plates attached as well as a larger header plate. 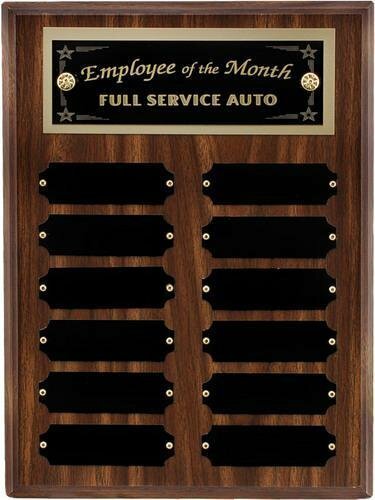 This is a perfect way to show off you top employees. This plaque is a great gift idea for the home or office. 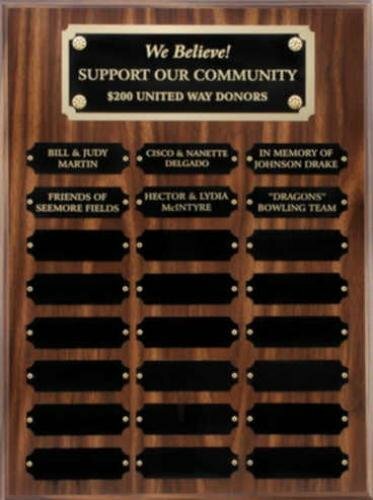 With an abundant space for engraving you have plenty of room to add your message of appreciation. Availible in 4 sizes! This plaque is a great gift idea for the home or office. 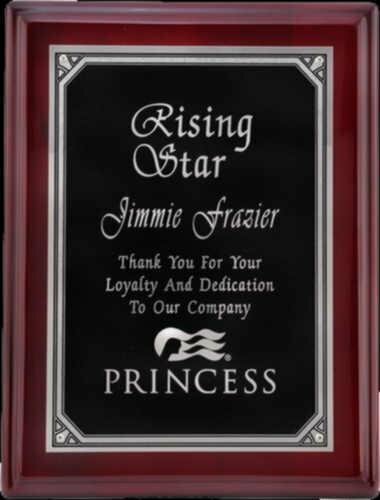 With an abundant space for engraving you have plenty of room to add your message of appreciation. Availible in 2 sizes!